Happy Monday Everyone! 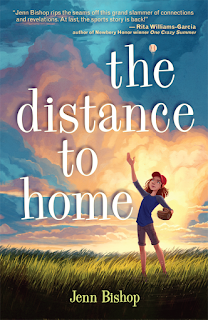 Today I've got debut author Jenn Bishop here to share about the cover for her MG contemporary THE DISTANCE TO HOME. And she's interviewing her illustrator Erin McGuire. Last summer, Quinnen was the star pitcher of her baseball team, the Panthers. They’re headed for the championship, and her loudest supporter at every game was her best friend and older sister, Haley. Now here's Jenn and Erin! One of the most exciting moments in any debut author’s journey is the day they get to see their cover for the very first time. There’s something about the fact that the manuscript you’ve been working on in Word or Scrivener is going to be an actual real live book that becomes tangible when you finally behold that cover. It’s a pretty magical moment, one which often involves squealing or hugging one’s iPhone to one’s chest. I feel incredibly fortunate to have Erin McGuire as the cover illustrator for The Distance to Home, and have invited her here to talk a bit about her process. Jenn Bishop (JB): I’m very curious about what the illustration process is like from your end. On the author end for The Distance To Home, I received an email with a cover sketch, and then a bit later, the final illustration, and then even later, the illustration with the title layout, etc. But clearly so much is happening behind the scenes. In this case, how was the cover image or scene selected? How much direction were you given from Random House? they’d like. 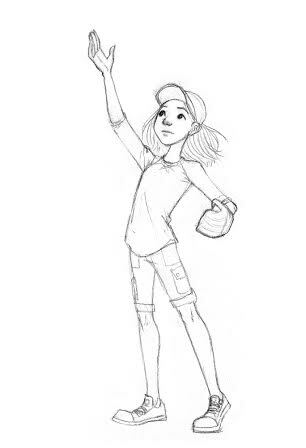 For The Distance To Home, the publisher knew exactly what they wanted, which was Quinnen standing in front of a sunset sky and throwing a baseball up in the air. They also sent me this image of mine as reference. This let me know the tone they had in mind, which was really helpful. I sent a rough painted version and this sketch of Quinnen (pictured). From there, we had a few rounds of back and forth with tweaking things like her facial expression, the baseball glove, and the sky. Start to finish, this cover was done in about 3 weeks, which includes time for the publisher to look over things and send me notes. JB: Now that I think about it, I remember getting one of your sketches via my editor, Kelly Delaney, double-checking Quinnen’s ball-throwing stance. I felt very honored to be included in the process, even in that small way! How much of your work is by hand vs. on the computer? EM: A little bit of both! Usually, I start with pencil thumbnail sketches of different compositions and ideas for the image. Once I have some drawings I like, I’ll do refined versions of those drawings in pencil, and scan them in to my computer. From there, I complete most of my illustrations in Photoshop. I use a Cintiq tablet so that I can draw and “paint" right on my screen. EM: People! I love drawing people with a lot of personality. It’s fun to research the clothing and hairstyles for different characters. I also love drawing and painting landscapes or scenes with interesting architecture and lighting. Any time my husband and I travel, I try to take a lot of pictures of stuff I know I’ll want to draw later. JB: If a person is interested in a career in illustration, where should they start? EM: For illustrating books specifically, research! Go to bookstores and see what sells. Read a lot of picture books. Read a lot of middle grade books if you want to illustrate for MG. Start following publishing people on Twitter or blogs and learn what the industry is talking about and thinking about. On the art side of things, just draw as much as possible. Work on showing kids at specific ages. I used to draw people who could be either 16 or 35, and that doesn't work so well when a character is a very specific age. Show characters in a scene, not just static portraits of people. Once you have a solid portfolio, get it online! Be active in social media, and remember there is no one "right" platform anymore. Some artists have thousands of followers on Instagram, and none on Tumblr, so don't worry if you aren't getting traction everywhere. The important thing is to just update your work a lot. I also highly recommend conferences like SCBWI, Spectrum, ICON, or CTN. I really love the SCBWI world and have met lots of great people at the conferences. JB: Fantastic advice—and amazing how much of it overlaps with what I give for writing advice. When did you know you wanted to be an illustrator? EM: In high school I started reading a lot of comics and trying to draw my own. I’ve been keeping a sketchbook since I was fourteen. I wasn’t sure what I wanted to do with my work at first, and I wasn’t even sure what options were out there. Once I got to college (I attended Ringling College of Art and Design) I was an illustration major, and the program really helped me figure out what direction was best for me. JB: With The Distance To Home, I’ve been so astonished by people’s emotional connection to the cover. I’ve even heard of someone being moved to tears over losing a TDTH bookmark. Now, said person has not even read this book yet, since it’s not out till June 28. How do you go about evoking emotion in your illustrations? EM: Aw! That is really cool to hear (not the crying part!). I think I was a pretty emotional tween/teenager growing up, and I remember how hard it was to deal with emotions I didn’t understand. I have a great deal of empathy for kids, and so I want that to show in my drawings. I consider it my job to live up to the emotions that the author is putting on the page. A lot of illustrators, myself included, will even make the facial expression that we’re drawing as we draw it, which sometimes leaves your face a bit sore at the end of the day! JB: What do you have in the works right now? EM: I’m the cover artist for Nancy Drew Diaries, so I am always working on new covers for that series. I also just finished my cover for your next book (yay!) and am working on a few other covers and longer projects. JB: Yep, you heard it here first! I am in love with Erin’s cover for my second middle grade novel,14 Hollow Road, due out in summer 2017 with Alfred A. Knopf, and look forward to revealing it later this year. Now, what does a day in the life of an illustrator look like? Is there such a thing as a typical day? JB: Attention-hungry cats! Twitter! I can’t imagine what it’s like to be distracted by such things. ;) What is your favorite thing about being an illustrator? EM: Getting to draw for a living is pretty wonderful. Getting to make art for kids and readers is even better. JB: Is your artwork available for purchase? Do you do commission work? EM: Unfortunately I’m not able to take commissions right now, as client work keeps me pretty busy. But I do sell my prints through INPRNT, which does beautiful work. And sometime I really want to do a “clean out the studio” art sale of my original art. If I get around to it I will post it on Twitter! JB: Anxiously awaiting the “clean out the studio” art sale, Erin! Thank you so much for stopping by! Thanks Jenn and Erin for sharing your advice. 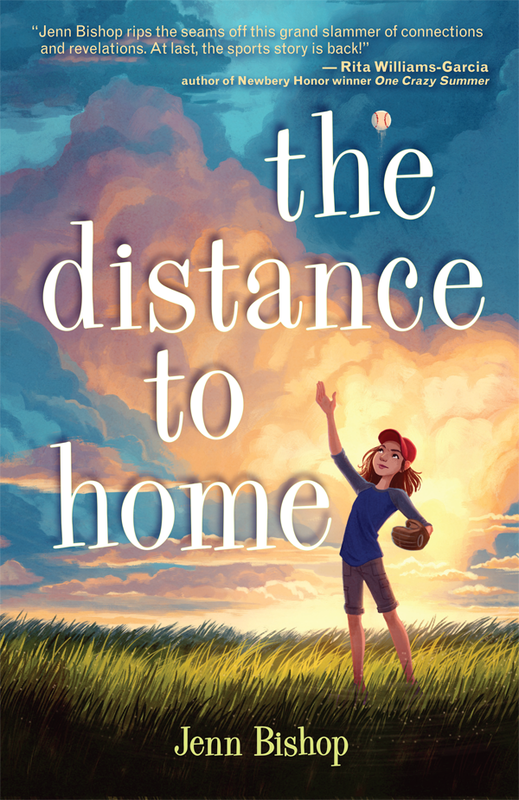 Jenn has generously offered a signed copy of THE DISTANCE TO HOME for a giveaway. To enter, all you need to do is be a follower (just click the follow button if you’re not a follower) and leave a comment through June 25th. If your e-mail is not on your Google Profile, you must leave it in the comments to enter the contest. 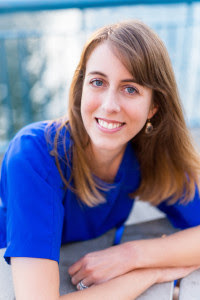 Next Monday I have a guest post by debut author Abby Cooper and her agent Rebecca Sherman and a query critique giveaway and giveaway of her MG contemporary STICKS AND STONES. The following Monday I have an interview with debut author Aditi Khorana and a giveaway of her YA contemporary science fiction A MIRROR IN THE SKY. Then I'll be doing something a little different this summer. Details to follow. THE ONLY GAME by Mike Lupica explores the same issue but with a boy losing his older brother. I've added Jenn's book to my advanced reading list to see how they differ in other aspects. Thanks for the unique interview. Very interesting! Love The Distance to Home cover and the story sounds very heart-tugging. It was fascinating to learn a little more about the cover/illustration process. Sounds like a great story and I love the illustration. Fantastic post and gorgeous cover. I loved hearing about Erin's process. Great interview. The cover art is fantastic. Sounds like a wonderful story. That's cool Erin got to follow her dream of illustrating. And that she gets to work from home! Great idea to combine an author and illustrator interview! Enjoyed the interview with Jenn and Erin - thanks so much for sharing! There are so many interesting facets to this process, and it's great to get a better look at things from the illustrator's side. Natalie, appreciate you hosting. You are a delightful hostess. :) I'll pass on the giveaway. Have a great week! Sounds like a great story on a very difficult subject. Thanks for the interview and the chance to win. This was a really interesting interview. I'm just a writer, but I really enjoy hearing about Erin's process. And please count me out of the giveaway, since I've won a lot lately. Congrats to Jenn on a super adorable cover! It has baseball. I'm in! I will definitely be looking for this one. I do love the cover! The clouds in that cover are gorgeous. I can see why this picture would evoke a lot of emotion. Enjoyed the interview as well--sounds like a wonderful job. I love the cover for The Distance to Home. The colors are eye-catching. You can almost hear the ball striking the bat and the girl waiting to catch the ball amid the cheers (and likely jeers) from the various spectators. Love the cover, and loved reading the process. I love that cover. Gorgeous. The colors, the style... Super cute. Yup, new covers are exciting. It's like Christmas. :) That's a beautiful cover. All success on the new book! No need to enter me in the giveaway since I'm outside of the US. Thanks for sharing this interview. It's interesting to find out what it's like from the cover illustration perspective and to find out what goes into that kind of career. I may be passing this on to some friends. Wishing both Jenn and Erin much success!!! What a fun interview! I have always been curious about how illustrators decide what to do for the cover of a book or for the scenes they illustrate in a chapter book. This was really informative. Thanks for sharing! :) Wishing Erin and Jenn all the best! I'm always interested in covers, so it's great to see the illustrator here. Congrats to Jenn on her debut. This sounds like the kind of book that would really hold the attention of my husband's 5th grade class. He reads 5 or 6 a year to them, and I usually get to pick them out! So lovely guest post! Thank you so much for writing it here. I am struggling with writer's block when writing my papers, and your illustration was a great inspiration for me.